It’s almost been a year since I met the super awesome ladies of Glass Hill Venue. I’ve loved getting to know them and watch their venue progress and was so honored to help create their first styled shoot. KJ (K Jugar Photography) and I worked on this for almost 2 months creating an overall color scheme and feel and recruiting amazing local vendors to provide their services for our vision. We both had very similar thoughts for this styled shoot and were able to mesh them together so perfectly. We also had different couple’s to photograph to help separate our shoot, since we have different editing/shooting styles. Celebration Bridal provided the dresses/veils/tuxes and I was so thrilled to use their stunning “blue” dress. I can’t wait to see what awesome bride chooses that for their wedding day. Apparently “dusty blue” is becoming a trendy wedding color. Let me tell you something, it’s gorgeous mixed with whites and tons of greenery. 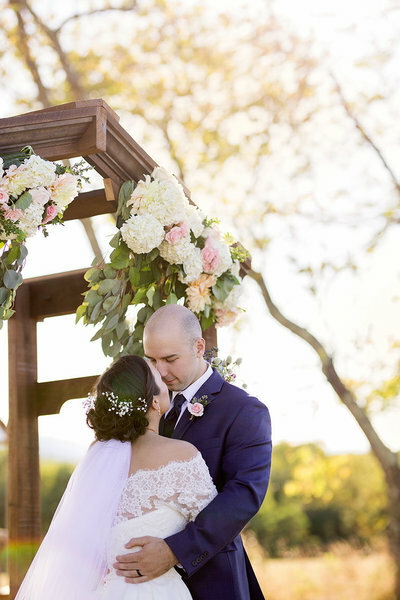 On our stunning mountain backdrop, our colors just could not have been more perfect! And Natasha, Foraged & Cut, is a floral genius. 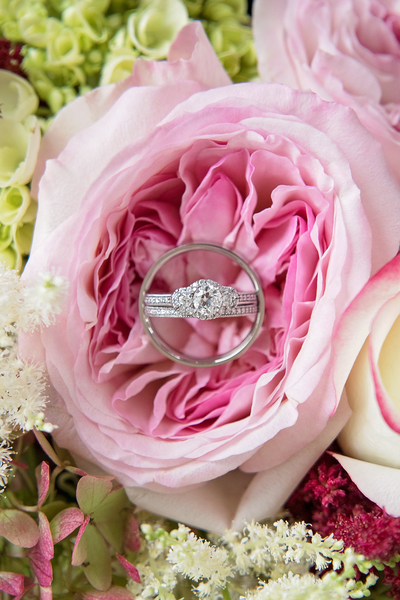 Please inquire with her for your wedding florals…you will not be disappointed! I had this idea in my head from the start of draping something from Glass Hill’s gorgeous arbor. At first, I was thinking flowy fabric, but then saw an idea for a greenery curtain on a wall and thought, ummm, nope…how about a greenery curtain on the arbor. And, oh my word, it was meant to be there! I don’t want to take up too much space here in my paragraphs so you can get to the pictures, but PLEASE look through and read the captions to see all the work our vendors put in to this styled shoot. I said before, they are all masters of their crafts and I’m so thrilled with the end result. Better Than Bare by Hannah….Hannah is awesome and extremely talented. I was mesmerized by her makeup skills. I kept calling Carolina a hair magician. She is so so talented! KJ and I really didn’t have specifications and she just whipped up 2 awesome hair styles in no time! Signs from Scripted/Florals from Foraged & Cut. LOVE! Kira (Scripted Events) has some stellar handwriting! I absolutely loved all of the signs she made for us! So beautiful! KJ and I found our tableware at Lynchburg True Value. We loved the gold chargers, with the gold trimmed white plates, and gold flatware. I found these amazing vintage glasses on Etsy. I feel like they just pulled our whole vision together. These tables from Happily Ever After Rentals were just what we were envisioning. We loved the element the darker wood gives. This cake blew us out of the water. Linda from Love is in the Air Events is amazing y’all. She took our vision to the next level with this cake! Another beautiful sign from Scripted. Florals and centerpieces from Foraged & Cut. Amy with A Paper Wedding gave us such an awesome invitation suite with a beautiful vellum pocket. Carolina’s hair magic and that back on that dress from Celebration Bridal! WOW! You guys, all of my greenery curtain dreams came true. Foraged & Cut is awesome! Foraged & Cut again on the awesomeness factor. 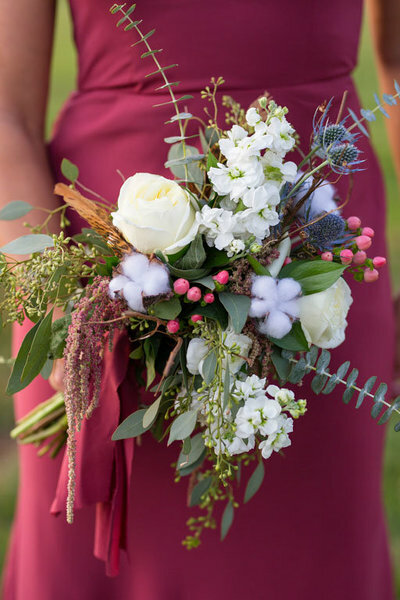 This stunning bouquet included an air plant, peonies, and so many beautiful accent flowers to go with our dusty blue theme. That arbor. Greenery curtains. Gorgeous couple. Sunset. Wowzers! This beautiful couch actually came from Diane at Glass Hill Venue. They have a ton of options you can use for your wedding day! Absolutely gorgeous! Everything: the venue, that dress, flowers, cake, that mountain sign…. everything. LOVE!!! You outdid yourself – everything is perfect. The colors, the light. What a dream. Thank you so much, Grayson! These are so beautiful!! Absolutely breathtaking! Thanks so much for asking us to provide the cake! The shoot is stunning and shows how much thought and effort was put into it by all the vendors and everyone involved. Love every single detail of it!